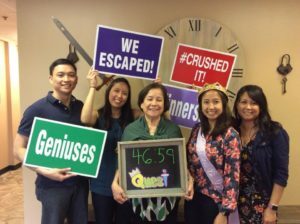 Escape Room Doylestown, PA: Have You Heard About Our Party-Perfect Adventures? When it comes to offering live-action fun guaranteed to thrill all kinds of groups, from corporate crews to families to teams, no other activity can compete with escape room challenges! Here at Expedition Escape, the escape room Doylestown, PA adventurers know and love, we've designed our escape games to appeal to players of all ages and skill levels. In turn, our venue is a great choice for your … [Read more...] about Escape Room Doylestown, PA: Have You Heard About Our Party-Perfect Adventures? How Many People Do You Need for An Escape Room? Participating in an escape room challenge is one of the most fun and exciting ways to spend quality time with your friends, family and/or coworkers. 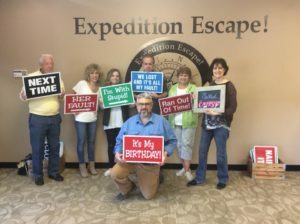 But before jumping into an escape adventure, it's important to be aware of a few things so that everyone in your group gets the maximum enjoyment out of the experience. For instance, it's essential to know how many players you need to succeed in the … [Read more...] about How Many People Do You Need for An Escape Room? 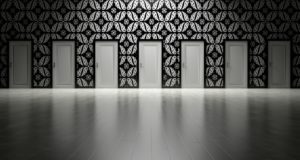 Escape Room Newtown, PA: Mind-Blowing Excitement for Any Group! 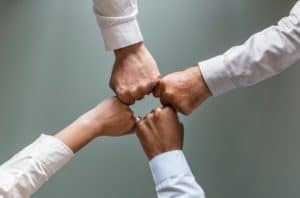 When you have a group made up of individuals with a variety of interests and skills, it can be difficult to pinpoint an activity that everyone will find both fun and fulfilling. That's where escape rooms come into play! This new and exciting thing to do is designed to thrill people of all ages and experience levels. Whether your crew consists of youngsters, grown-ups or a blend of the two, we've … [Read more...] about Escape Room Newtown, PA: Mind-Blowing Excitement for Any Group! We’re The Escape Room Wayne Organizations & Corporate Groups Love Escaping To! Have you been looking for fun, out-of-the-ordinary activities that will unify your employees or organization members? The escape rooms at Expedition Escape definitely fit the bill! Whether your team is made up of five or 50 people, our escape room Wayne puzzle lovers can't stop talking about is guaranteed to be a crowd pleaser. 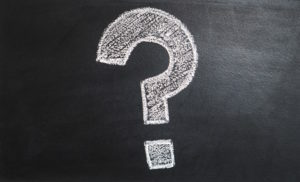 Here are a few reasons why Expedition Escape is an unbeatable … [Read more...] about We’re The Escape Room Wayne Organizations & Corporate Groups Love Escaping To! Enter the Escape Room Valley Forge Loves for Action-Packed Fun! Given how popular they've become in recent years, odds are you've heard of escape rooms by now. However, you might still be in the dark about why this activity has spread like wildfire across the U.S. and why people love it so much. To help explain the enthusiasm surrounding escape rooms, our escape room Valley Forge residents adore is here to describe how this exciting thing to do thrills all … [Read more...] about Enter the Escape Room Valley Forge Loves for Action-Packed Fun!